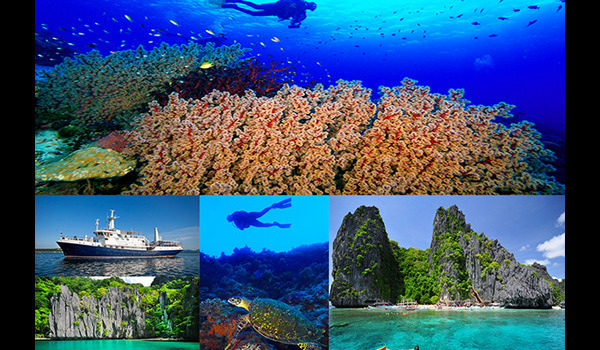 The crystalline waters of the Philippines are rated highly by the world’s scuba divers. Lonely Planet has called the corridor between Coron and El Nido “One of the most beautiful waterways of the world.” El Nido also garnered Conde Nast Traveler’s Readers’ Choice Awards for ” Best Island” in the World” in 2014. Discovery Leisure Hotels, a prominent Filipino vacation and tourism company, has added boat tours to its offerings. Its Discovery Fleet offers a number of scuba diving tours aboard the M/V Discovery Palawan and other vessels that will take divers to the most sought after underwater adventure sites in the Philippines. 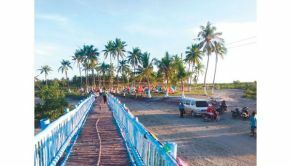 The northern route takes you to the island of Pandan where shallow reefs offer up a parade of underwater wildlife. For those who prefer snorkeling, giant sea turtles abound and there are 12 shipwrecks to explore. The island also has lots to keep explorers happy, from limestone caves to miles of white sand beaches. Later, the tour will visit Apo Reef, rated one of the 10 Best dive sites by Scuba Dive Phillipines. Its deep walls and extensive network of smaller reefs draw the bigger fish, like jacks, barracudas, mantas and sharks. Tubbataha is the pinnacle of diving in the Philippines. Dives within this marine preserve feature pristine reefs that are home to mantas, tropical fish, and turtles. Nearby is one of the last remaining shark diving areas in Asia. From Tubbataha, your cruise will take you to Cagayancillo and Calusa, where guests can expect to see offshore pinnacles, sea- fan lined corridors, colorful soft corals and larger marine species. 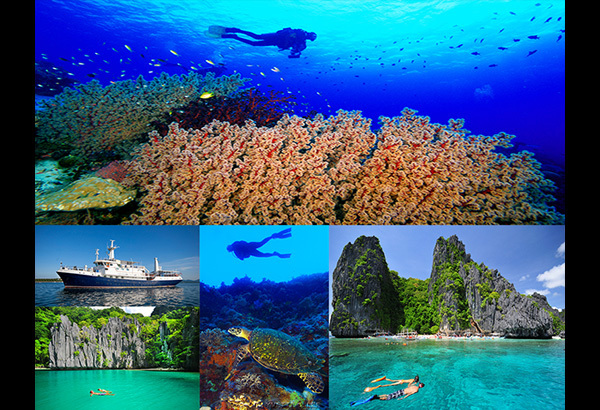 Whatever the time of year, dive the spectacular waters between Coron and El Nido. Explore breathtaking coves, lagoons and beaches. Swim, snorkel, or kayak, then enjoy delicious meals served right on the beach. If diving and snorkeling are your passion, Discovery Fleet specializes in small groups tours that put the emphasis on serving the needs of individual passengers. If you want to be catered to, their caring approach and attention to detail may be just what you are looking for.